Today we are So EXCITED! 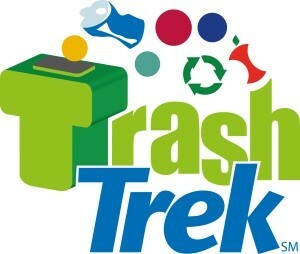 anticipating the official Kickoff for the 2015 First Lego League FLL Trash Trek Challenge! We have our Robot Game Board Map and some thousands of LEGO pieces in bags. We look forward to the FLL Season Kickoff so we can get our Robot Game Board Challenge Build instructions! We have been planning our FLL Robot Game Board Challenge Build Camp ALL Summer! 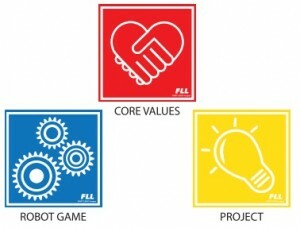 There are THREE parts to an official FLL competition. Robot Game, Research Project and Core Values. We MUST be prepared to present ALL THREE with Pizzazz so we may qualify to go on to State Competition! More FLL News coming up on the blogging horizon! This entry was posted in Science Calendar and tagged Academy, Carter, Cathy, Computer Science and Engineering - CSE, Demonstration, EV3, First Lego League, FLL Trash Trek, Griffith, Hanus, Nate, Nebraska 4-H, Prepare, Robot, Science, Science Calendar, Sebastian, Tucker. Bookmark the permalink.